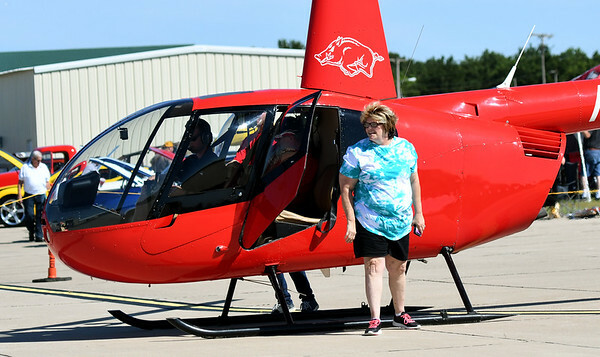 Sheila Drake, of Joplin, exits a helicopter after her first-ever ride on Saturday during the Celebrate Neosho Air Show at Neosho's Hugh Robinson Airport. The day-long event featured carnival rides, vendors, helicopter rides, tandem sky diving and more. The excitement was capped off by a large airshow and fireworks display. As many as 5,000 spectators were expected to attend the fourth annual event.